Sr. Janet Corcoran, vice president of mission service at Marian Medical Center in Santa Clara, CA, is just one of the Catholic voices spreading the gospel that bottled water, however convenient, is environmentally, economically and politically wrong. “It’s a matter of getting people to think more consciously about what they are doing,” she said. Her column, “Environmental Tips from a Green Franciscan Sister” is published in a hospital publication. Concerns about bottled water are bubbling up in Catholic organizations, adding clout to a growing number of municipalities and secular organizations concerned about the issue–with women religious strongly in the lead. 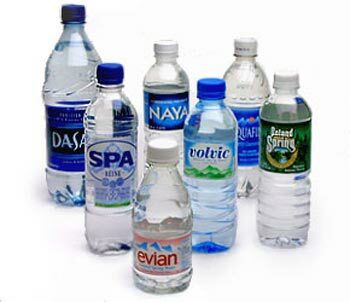 Numerous women’s religious communities are banning bottled water at their motherhouses, retreat houses and conference centers, and some are substituting refillable water bottles for the throw-away kind at sponsored events. Bottled water has become a lighting rod for several environmental-social justice issues surrounding water. There is a negative environmental impact of discarded plastic bottles. I see plenty of those on the beach–used and left by fishermen (both native born and Spanish-speaking immigrants) to wash out into the ocean. There is the oil used to make plastic bottles. And lastly, the prize of the ownership and access to good water, especially for developing countries. Like energy resources–oil, gas, coal–water is now being privatized by corporations. The United Nations estimates that more than 1 billion people currently lack access to safe drinking water and that by 2025 two-thirds of the world’s population will not have access to drinking water. Some Catholic groups have borrowed information and ideas from Think Outside the Bottle, a major non-religious player in the anti-bottled water movement. 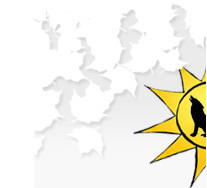 The organization has launched a web-based campaign that provides information and support. In addition to inviting individuals to sign a pledge to boycott bottled water, the program urges people to send postcards to corporations challenging corporate control of water, to attend stockholders’ meetings and mount other forms of pressure on corporate executives. I guess what this means for me is to stop buying Poland Spring at Staples or the supermarket, and fill the empties with tap water. I love Poland Spring. It’s easy to tote to the gym or have in the car. Water in refillable plastic bottles tastes vile. This is going to be a tough one. As a member of the Social Justice Committee of St. Andrew the Apostle Church in Brooklyn, NY I helped to start the “Coffee Project.” We sold Equal Exchange coffee after Masses once a month; and took special orders the rest of the time. Our parish secretary, a lovely lady, helped out to take care of people who were ill, out-of-town or couldn’t make it to Mass for some reason but still wanted their coffee. She would hold the bags in the office for people to come by and pick up. Sales did quite well–our Social Justice Committee funded other projects and initiatives out of our $1 a bag coffee profits. We sold Equal Exchange coffee, tea, chocolate and hot chocolate. Everyone enjoyed the coffee, but the chocolate bars were the biggest hit. Our motto was: “Supporting fair wages and fair trade–one cup of coffee at a time.” Buying a bag of coffee after Mass made it easy and convenient to help support Catholic social justice initiatives several ways: small farmers were paid a fair price for their coffee beans and had access to credit; and the crops were planted and harvested in ecologically sound ways. Equal Exchange products are mostly organic and shade-grown, which further protects songbirds and wildlife. 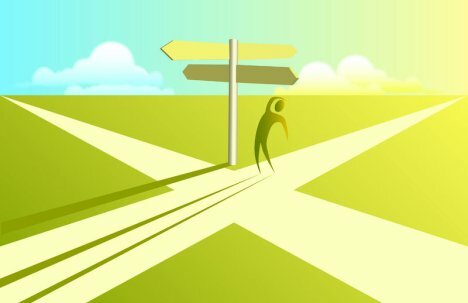 Equal Exchange was great organization to work with, and I highly recommend them. We found them through Catholic Relief Services, who maintain a list of fair trade coffee partners on their website. The Dominican Sisters established An Tairseach, the Dominican Farm and Ecology Centre, in 1998 on their 70-acres of land in County Wicklow, Ireland. It is an organic/biodynamic farm and Centre for Ecology and Spirituality. In addition to running the farm and shop, the sisters encourage field studies on the property, and also sponsor courses and retreats. Many of these events are inspired by Celtic Christianity. A ten-week sabbatical programme is being offered September 7-November 14, 2008 and March 22-May 29, 2009. 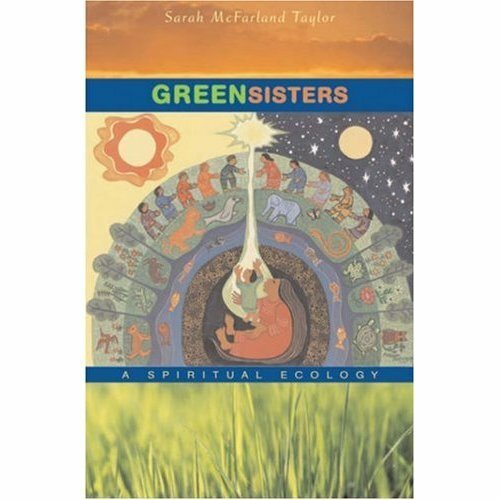 “Exploring Spirituality in the Context of – An Expanding Universe – An Endangered Earth – The Christian Tradition.” Contact Sr. Marian O’Sullivan for more information. An Tairseach is the Irish word for threshold. It suggests a new beginning, an alternative and more sustainable way of working with the land as well as a renewed relationship with the whole community of life, human and non-human. There is a lot of talk, now, about a food crisis in the world. Croplands are being used to grow fuel for cars vs. food for people. That’s wrong. But if you also don’t want to support building new refineries, or drilling in wildnerness, the ocean or high risk areas, what do you do? With the price of gas going up, people are going to push for alternatives. I don’t know what we can do about that, except to stop driving as much, and walk, bike or take mass transit. That works if people are willing to do without, are in good enough physical condition to do so, or don’t mind experiencing a lot of inconvenience. Given that, what kind of success rate can we expect? How many people will turn off their air conditioner in July? I priced out Lori and I taking the train or bus to our weekend house vs. driving. It costs us $40 a weekend for gas for our Toyota Coralla. It would cost us $80 to take the bus or a train. Going from a starch and meat diet to a vegetables and a little chicken or fish diet has also seen our food bills go up. A lot. Organic is great, but it is also priced a lot higher than vegetables in the bin. Now, we are paying to put into practice environmental ethics, and we feel the pinch, even in our household. People that are poor, unemployed, struggling or on a fixed income, can hardly afford to pay for the basics and necessities, much less enviromentally ethical products and services. What is a Catholic environmentalist to do? There are so many conflicting issues I don’t know what to think much less what to prioritize for action. Bill Griffin, CSX, has researched the global food crisis for the Center of Concern. His paper is designed to provide a clear overview of the current food crisis and the conflicting economic forces at work behind the scenes. I hope it will help me clarify what steps I can take to help on both the food and fuel fronts. 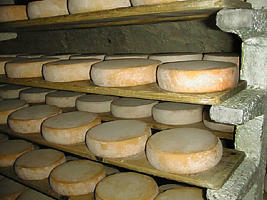 Some cheese-making French monks have come up with an innovative way to reduce their electricity bills. 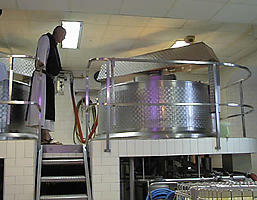 A monastery in the Alpine region of Savoie uses by-products of milk to create methune–enough to save them 7,000 Euros a year.